Here’s to watching my next football game! I may not know much about football logistics, but Emily Giffin’s character Shea had me “getting” the game, more than I had in all the years of watching it myself at your typical football party. So, for all of you that may dislike this novel for the mere fact that you do not like football, or “Texas Loving Football fans”; I suggest you read this, because it is not about the football…it is about the way life compares to it. And, you do not need to understand plays, stats or anything else. Shea Rigsby and Coach Clive Carr will tell you all you need to know. The book begins with a tragedy that weaves a web throughout the entire book. Shea Rigsby is at the core of this story about the circumstances surrounding love and loyalty intersecting. I am sure a lot of people will judge this book for its morale epicenter, but that is exactly why I cherished it. 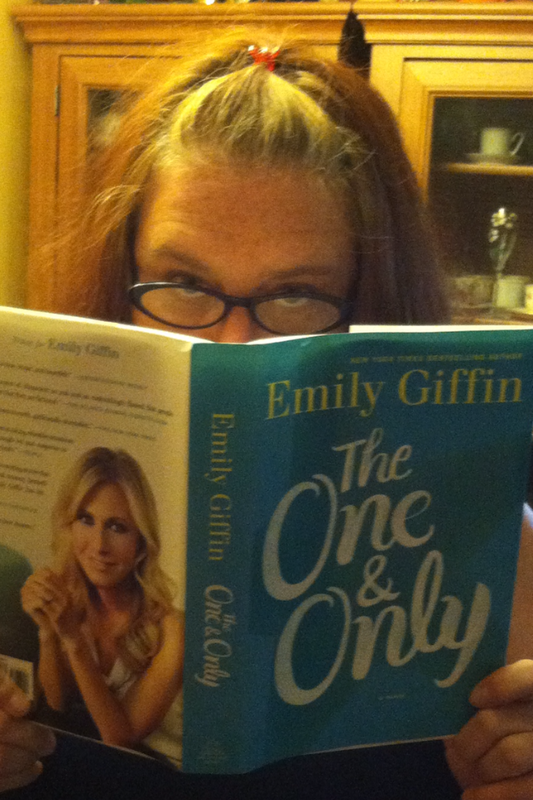 Emily Giffin went out on a ledge to bring us a book that would truly challenge our own personal ethics code. Isn’t that what a good book is all about, anyway! Giving us all something to talk about! This is not your typical run-of-the-mill romantic, easy-going, chick-lit novel. She goes beyond that, as I gasped at certain parts because I was so tickled by her story telling. She took turns introducing vivid characters that were unexpected. Until the very last sentence I had no idea what was going to happen. That is enough to keep you turning the page. The bottom line is that Shea is a woman who knows what she wants, but; is she willing to lose her best friend, mother, job, and entire family in the process. Isn’t that a lot like life? ?